Linda Burton posting from Lincoln, Nebraska – “I’m not stuck-up. I’m just deaf.” Such was the comment made to me by the gentleman to my left, as his wife leaned across to chat. We each were waiting for a table; the restaurant was crowded and a conversation had naturally begun. At least, between the wife and me. Until the husband chimed in, concluding, “That’s why I’m not talking.” He looked directly in my eyes as he spoke, and gave me a quirky smile as though to apologize. His wife smiled too, and gave him a love pat on the shoulder; I smiled back and thanked him for saying that. It was a comfortable moment. And not unusual for Lincoln, I’m finding. Everyone comes across friendly, and open. If people in a community are friendly, and open, then is it logical to conclude that the people in that community are happy? That life is right? 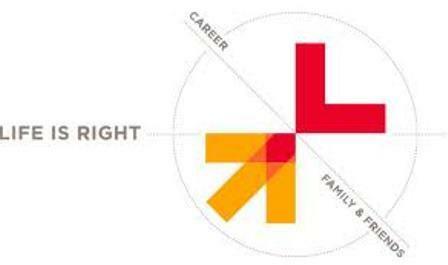 The Lincoln Chamber of Commerce believes it; in fact, they have set up a website – www.lifeisright.com – to serve as an outlet for local residents, and visitors, to express why they believe life feels “right” in Lincoln. At “Shout Lincoln” you can record your comments; at “Picture Lincoln” you can add your favorite Lincoln photos. And “Brand Lincoln” is an innovative approach that helps local businesses and organizations customize the Lincoln logo to perfectly fit their needs. It’s a simple but very eye-catching look: an arrow pointing upward, to symbolize growth and progress, and pointing towards the Lincoln “L.” Rationally, the three segments of the arrow represent the people, places, and events that make up the community; emotionally, they stand for the success, comfort and fun you have when you live in Lincoln. And where the arrow meets the “L” is the sweet spot; that’s what signifies that “life is right” in Lincoln. 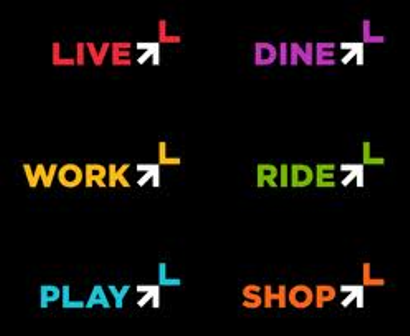 Brand Lincoln is a flexible tool; SHOP Lincoln for retailers, DINE Lincoln for restaurants, WORK Lincoln for employment. And LIVE Lincoln for everyone. “There has never been a more exciting time to be in Lincoln.” I read in the Lincoln Visitor Guide 2013, and that’s just the beginning line. “The city is growing, businesses are expanding, and there is an influx of people moving into the community. 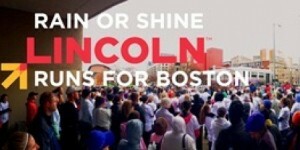 It is evident that Lincoln is on the move. Over the past two years Lincoln has been experiencing a period of success unlike any other city of its size. The University of Nebraska-Lincoln joined the Big 10, expanding academic opportunities and institutional credibility; citizens approved the new 16,000-seat Pinnacle Bank Arena; and major opportunities for entrepreneurial growth became available. You can feel the buzz around town, but should you forget, reminders pop up everywhere. The city is even promoting itself to itself – one campaign from the Visitors Bureau is aimed directly at locals. “Be a tourist at home,” it urges, listing daily events and reminders of places to go. Get out and mingle with your neighbors. Get out with the family and have some fun. I checked off a few “Group Fun” items happening during summer months. 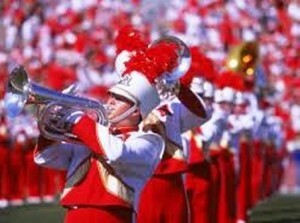 Tuesdays: Jazz in June at 7 at the Sheldon Museum of Art Sculpture Gardens on the UNL campus. Stroll the art gallery or stroll the campus, there’s an outdoor market too. 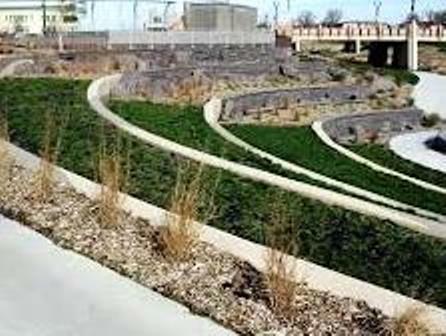 Wednesdays: Downtown Performance Series, live music and performances at noon in the Lincoln Community Foundation Gardens, bring your lunch or buy from a vendor. 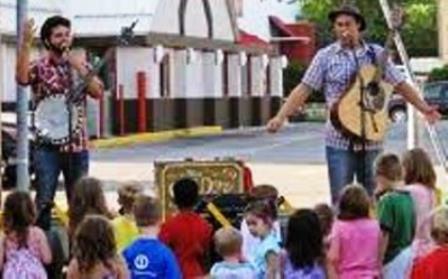 Thursdays: Music & Mozzarella for the entire family at Lincoln Children’s Museum. Fridays: Friday Nights Live Concert Series at 6:30 in the Center Court of SouthPointe Pavilions Shopping Center, bring a goodwill donation for a charitable organization. That’s just a few, as I said, but note the special community “connection” they invoke; the same is true with “group spaces,” like Centennial Mall, a seven-block public place connecting the Capitol to UNL. 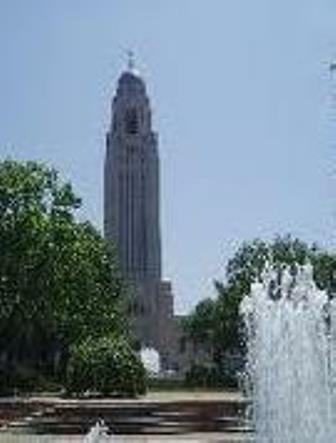 It’s been a rallying point for historic events and occasions since 1967 when it was built to celebrate the state’s 100th year; it’s where you’ll find the Capitol Fountain and Plaza, the Nebraska Plaza and Missouri River Fountain, and more; it’s one of the most frequently photographed places in the state. And Union Plaza, the city’s newest park; six acres with four water features, festival space, a trails center, children’s discovery area, pond plaza, outdoor plaza seating, scenic overlook, and an amphitheater. And of course, Memorial Stadium, on game days in Nebraska, when fans line the streets and the marching band parades up Stadium Drive. Memorial Stadium claims to be the “Third Largest City in Nebraska” on game days; the Cornhuskers have sold out every game there since 1962; that is 325 games and counting. When you take it at its essence, life just… feels right in Lincoln. All the factors that lead to a great life can be found right here. You can enjoy an incredible work/life balance that will enable you to make your own success. And you’ll feel comfortable doing it and have fun all along the way. The C of C concludes with this — Lincoln is a remarkably comfortable and friendly place that offers the excitement of a big city and the serenity of the countryside all in one spot. When you’re home, you’re among friends. Friendly folks, with time to talk, and not in the least stuck-up. It just feels right. 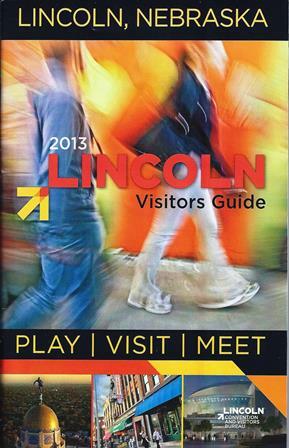 Note: These shout-outs for Lincoln are tucked in the Visitors Guide. 6.7% lower cost of living than US average. #9 most livable city in America. #4 best place to raise a family.